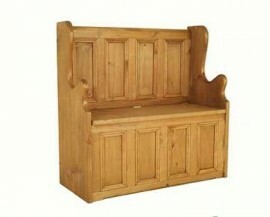 This 3' Pine Monks bench. Is made from 100% Pine and unwaxed. It features a hinged seat for storage.